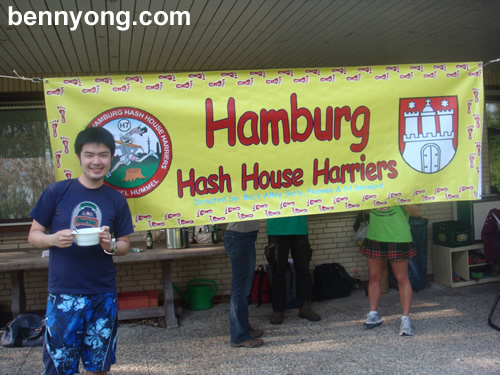 I was privilleged to be part of the Hamburg Hash Easter run. 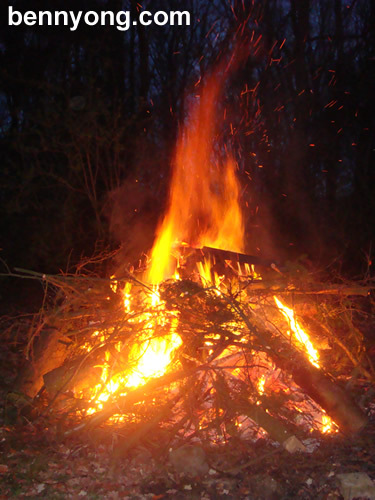 We headed to part of the greater city for their annual Easter Hash which ends with a night around an Easter Fire. This is a very common practice here whereby families gather around their own personal fire or one can attend a public one. The hash as usual started with a run from the train station whereby we ended in our final destination for food and the fire. As the day is much longer now, we had to wait until about 7 to start the fire. You will be surprised with the amount of firewood the host have prepared. As the night grew darker, the fire grew brighter. I left soon after but my guess is that the fire would have grew double in size. 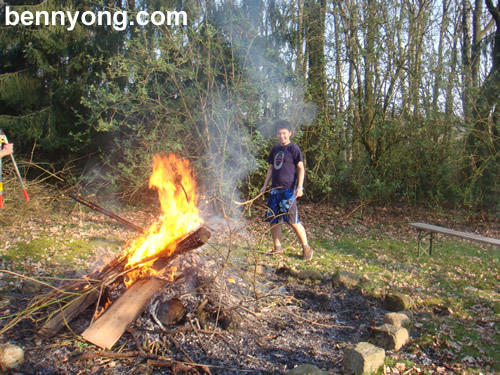 It was a great first easter fire and it reminded me of my scouting days or more recently a camp fire I had in the UK.